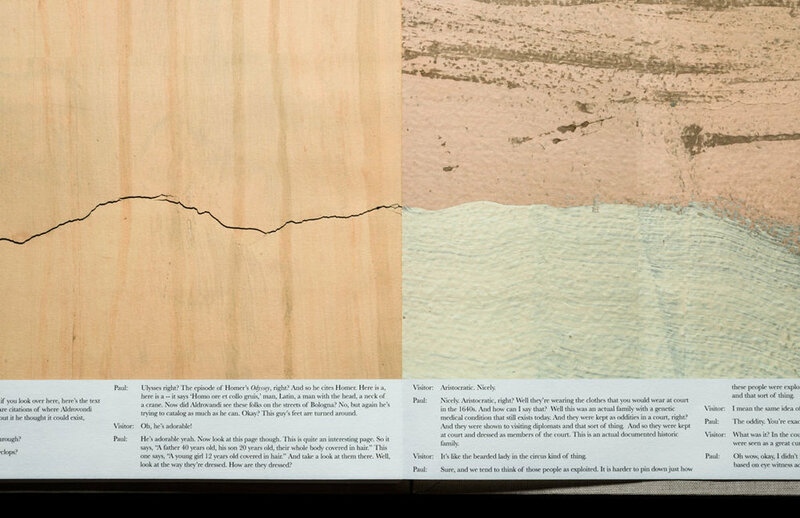 Book three consists of a unique edition, pairing the transcription of a tour given by Paul Espinosa (curator of the George Peabody Library) on May 6, 2014, with digital prints of scans of surfaces found within the library’s interior. The scanned surfaces are linked together to create an horizontal line, suggesting a stroll through a long landscape. Part three of a 6 volume set of works, compiled and created to document the collection and site of the George Peabody Library of the Johns Hopkins University. Each part finds its expression based on the material housed in the particular level of the library.